Oh my gosh. 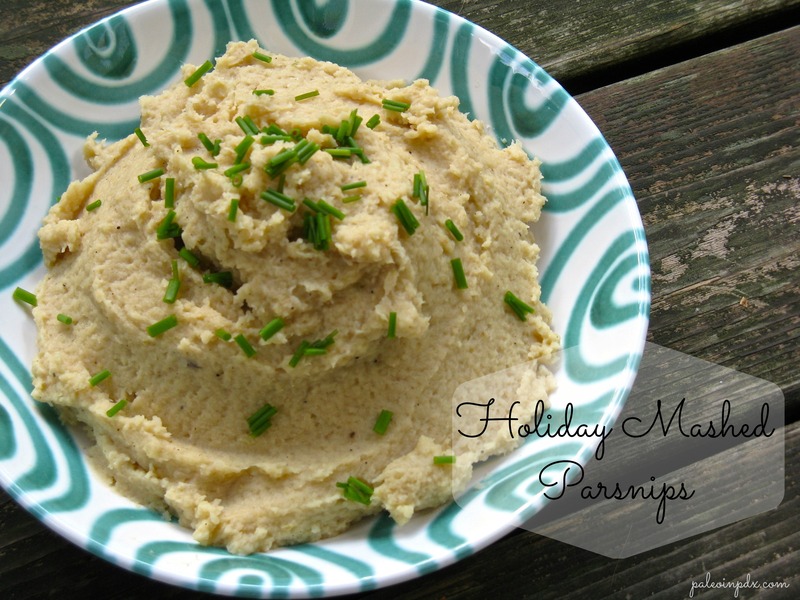 These holiday mashed parsnips are insane! I am not exaggerating when I say that the flavor practically blew me away! Words cannot express how delicious these are and you just have to taste them to understand. These parsnips are creamy, buttery, savory and slightly sweet. In a nutshell, they taste like the holidays and would be a perfect side dish for Thanksgiving dinner. I’ve already decided these will make an appearance at our Thanksgiving this year, and maybe even Christmas dinner too. Whatever you do though, do not omit the shallot, as it really is the icing on the cake. That, and really good broth — homemade if possible. Preheat oven to 375 degrees. Place chopped parsnips on a large pan and drizzle on the avocado oil. Stir and season to taste with sea salt. Roast in oven for 30-35 minutes, stirring halfway through. Meanwhile, melt 1 Tbsp of the butter in a small skillet. Add the sliced shallots and saute over medium heat until soft and slightly caramelized, about 5 minutes or so. 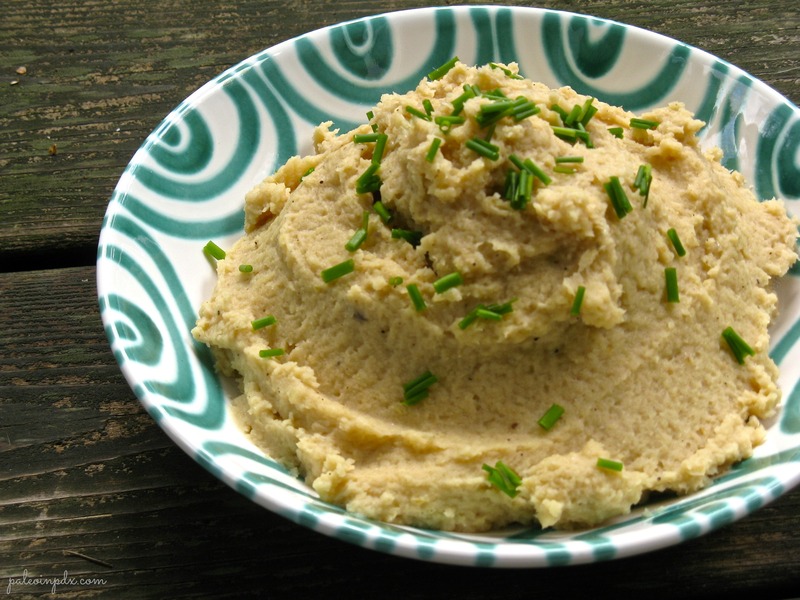 Remove from heat and pour into the food processor container. Once parsnips are done, add to the food processor with the shallots. Pour in the broth, remaining 2 Tbsp of butter and pepper to taste. Add more sea salt to taste, if desired. Process until smooth and fluffy, scraping down the sides with a spatula as needed. If need be, add more broth to reach desired consistency. Garnish with fresh chives, if using and serve. These look great ANNND I was thinking of trying a baked turkey this weekend, so these will be added to my menu of new things to try out. Ha ha! We must be on the same wavelength today…similar posts. Oh funny! I haven’t seen your post yet, so I’ll have to go take a look. I made these over the weekend and they are SO good! I want to put my face in the whole bowl! Thanks, they’re pretty tasty! I have to be careful though and can only eat small quantities of parsnips. It’s still a bit too much starch for me. These are wonderful! This is the first time I’ve ever cooked parsnips (couldn’t even find them in the store) and I was blown away by how great they taste! Thanks for sharing the recipe. Thanks for trying out my recipe, Angela! I’m so glad you enjoyed the parsnips and were able to find them in the store somehow!